Keep a check on tires not in use! Tires age even when they're not being used. Surface cracks appear in the rubber and the carcass can distort. Proper storage increases the life expectancy and performance of tires. • away from any source of ozone (home ozone generators, electrical appliances and air pollution). Powerful oxidant causes premature corrosion of the elastomers, which then crack. 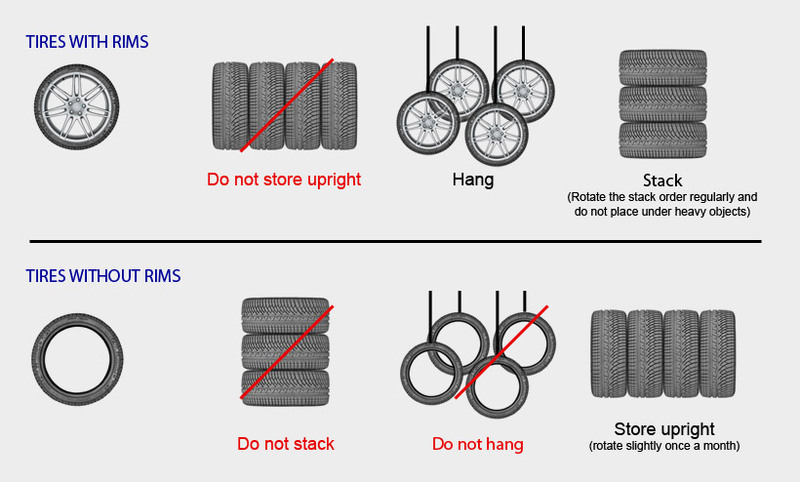 Storage guidelines vary, depending on whether your tires are mounted on rims or not.